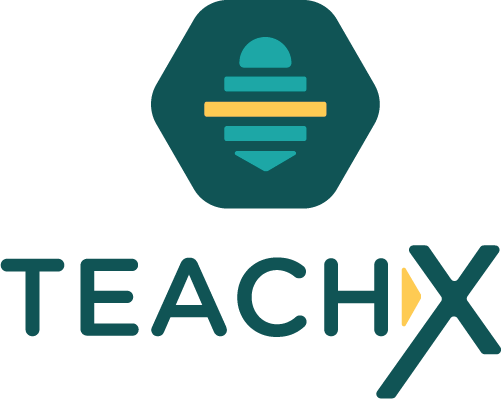 TeachX is a mobile app that connects teachers and thought leaders in a variety of fields and disciplines. The app allows teachers to bring about different experience and opportunities they can offer their students. 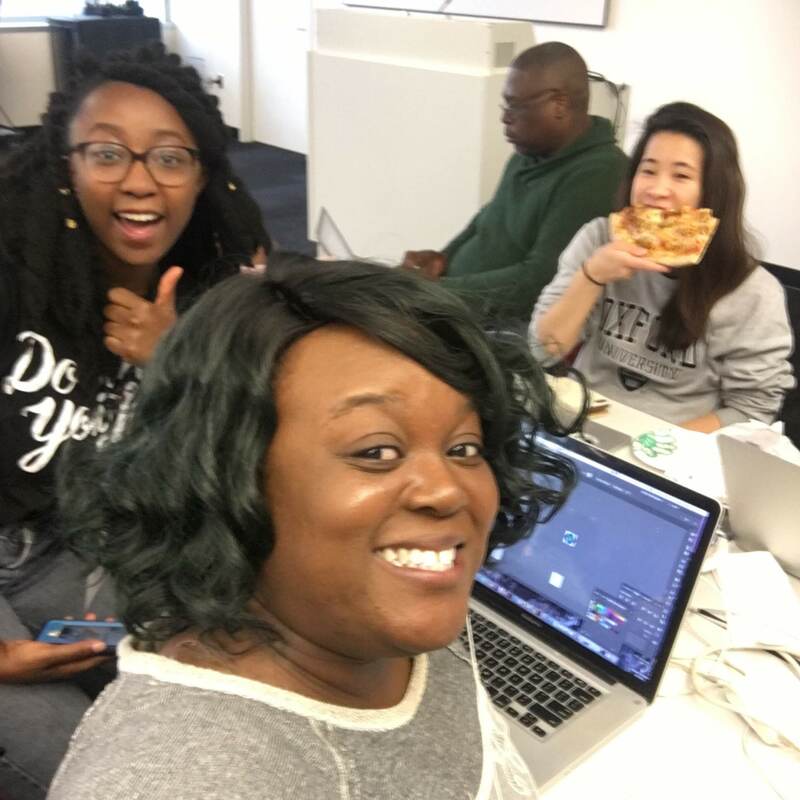 The Goodie Nation Hack wasn’t my first hackathon, but it was an experience where I delved deep into the digital experience of a platform in a short amount of time. On a Friday evening, I joined the Bizzie Teacher Helpers App led by our fearless and founder leader Monique Nunnely. I was joined by more other hack goers Erica Hines (Logo & Graphic Designer) and Eric Palm (UX Designer). We were presented with a mobile app that aims to help teachers connect with others in the community. Similar to ideas like Task Rabbit, these “helpers” would be able to assist teachers with day to day teacher needs or they could be thought leaders who can help create exciting new experiences for their students. One of the things our founder noticed is that there was a lack of help for teachers when they were dealing with students who have behavioral problems, specifically in schools that are underrepresented (Tier 1 schools). 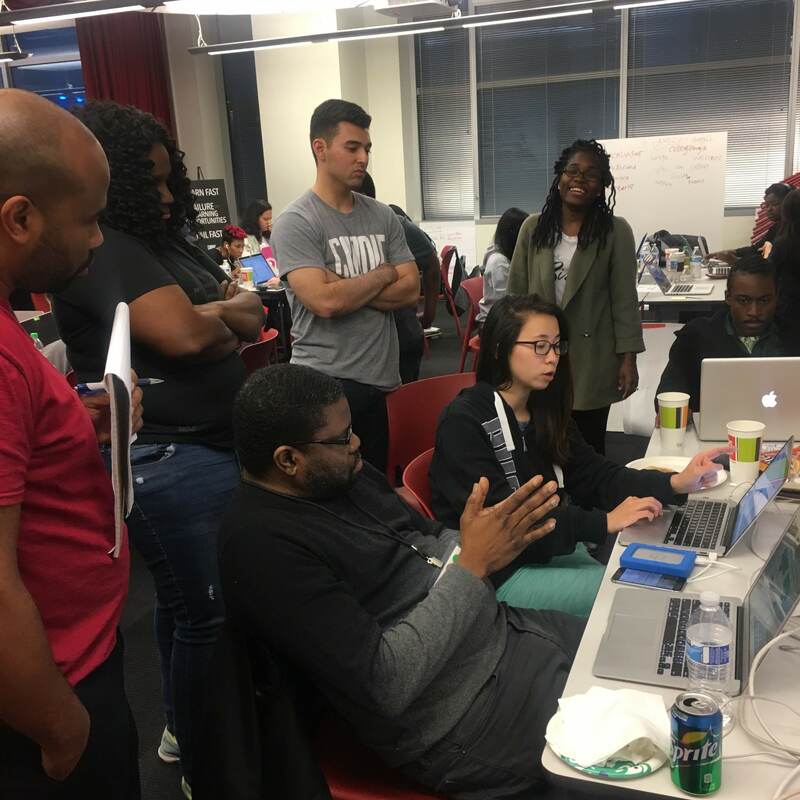 The goal of this app would allow teachers to have their students connect with their community and potentially channel that energy into more positive opportunities. 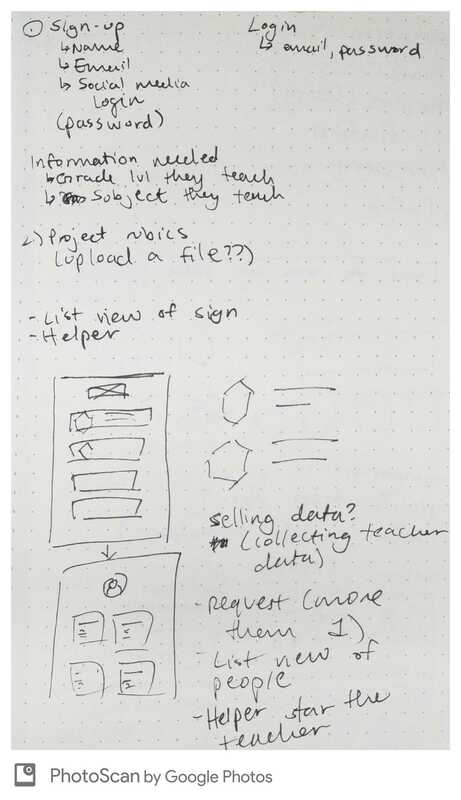 Our founder presented us with initial wireframes giving an outline of how the application worked. 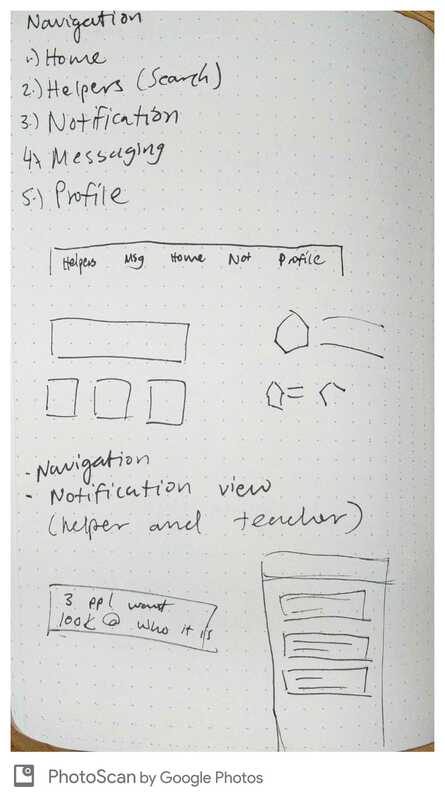 I along with my fellow UX Designer, Eric Palm took these wireframes and re-thought the initial flows. What quickly became apparent was we had to think of 2 different flows: one for the teacher another for the helpers. We knew that the initial onboarding and makeup of the app both users saw weren’t going to be too drastic. However, there were going to be a few details we needed to make unique to both audiences, so they would be able to connect on the app easily. The Bizzie Teacher’s Helper app was a bit of a mouth full, so we began by renaming the app. We landed on the name TeachX because it’s able to convey the experiences (the X in the name) that this app can provide teachers and students in the classroom. Erica Hines did the logo and icon exploration. She kept with a bee logo requested by our founder. What she was able to create was something simple, effective, friendly and can work on a mobile device. The bee inspired us to add a few more elements throughout the app such as adding hexagons on the homepage to emulate the honeycomb aspect associated with bees. We were asked to keep the same colors used on the initial wireframes, and like the initial wireframes, we aimed to use the colors as accents throughout the app while keeping everything else minimal. One of my favorite parts of this whole experience was being able to demo the app. Eric and I had to present it in a very brief time. We not only showed one flow, but we did both simultaneously. It was imperative to use to share the back and forth between the teacher the helper, so whoever saw our presentation would be able to grasp the full experience. I honestly had so much fun working on this app and working with the people I did during that weekend. It taught me to focus on the most important things so we could deliver a viable product at the end of the weekend. 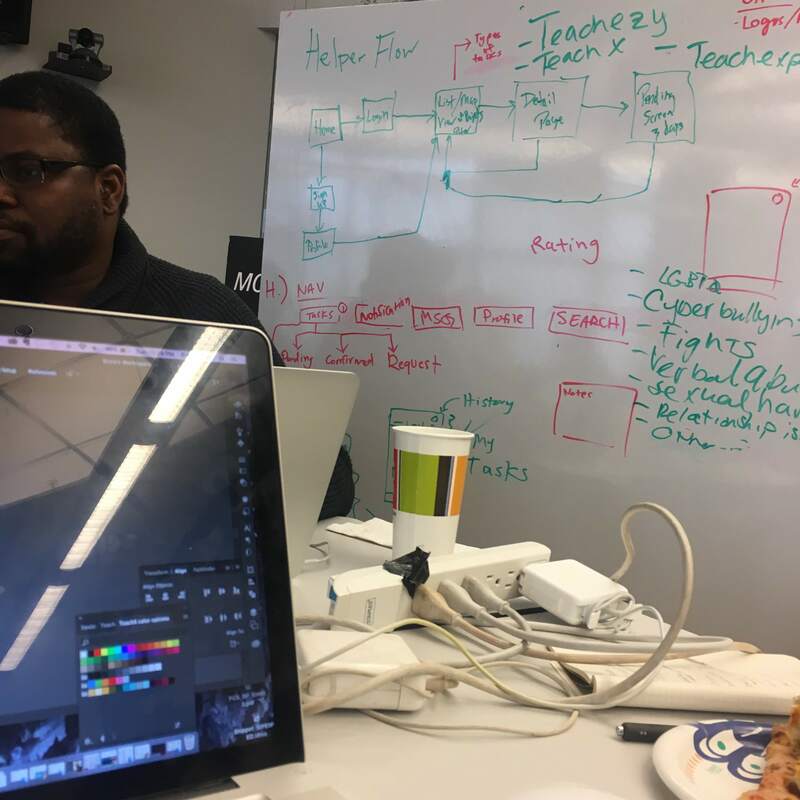 Working with another UX Designer simultaneously on two different flows gave great insight on how one side of an experience is going to affect the other. It was pure collaboration and focus. I was exhausted, but I’d say one of the most fun experiences I’ve had! Connect with me by sending an email or find me through my social media links!